Kirstenbosch National Botanical Garden is acclaimed as one of the great botanic gardens of the world. 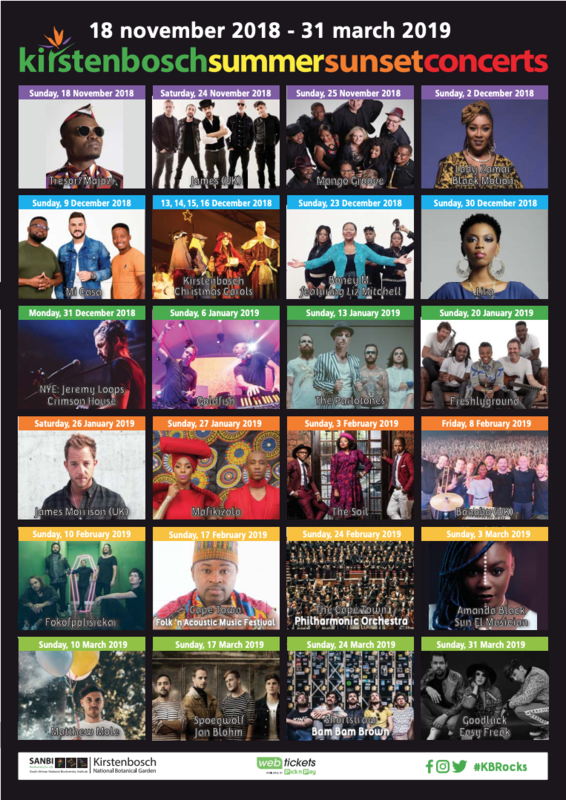 Few gardens can match the sheer grandeur of the setting of Kirstenbosch, against the eastern slopes of Cape Town’s Table Mountain and what an exciting venue it is for these legendary concerts! ← Bee deaths – a ghastly truth revealed!